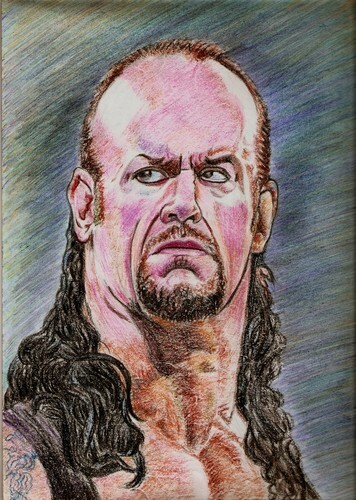 the Undertaker..my artwork. my artwork...oil pastels on paper. HD Wallpaper and background images in the Fine Art club tagged: fine art.